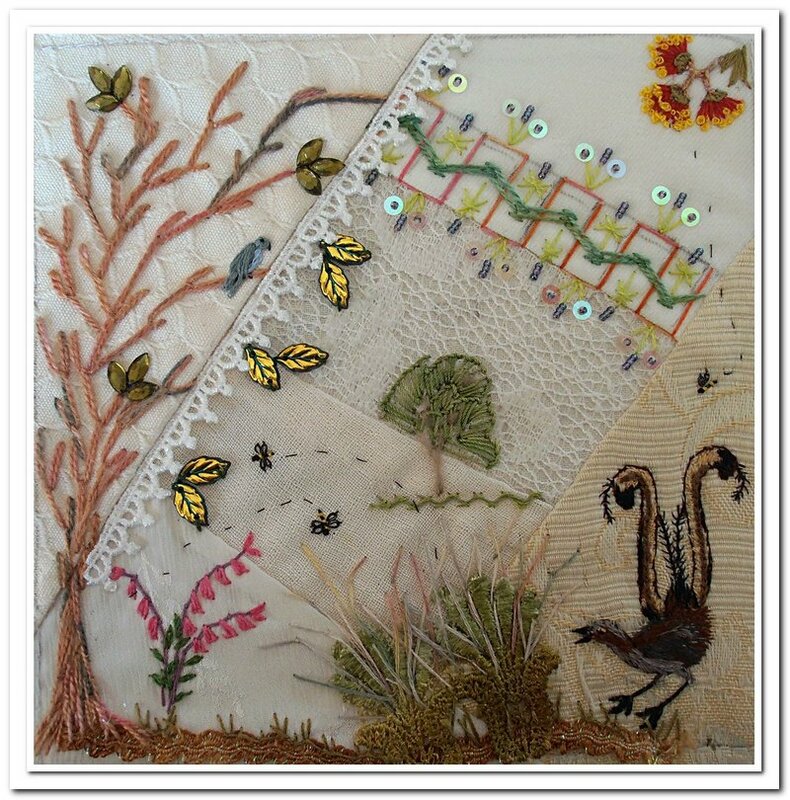 Using Sharon’s block pattern No 46 I’ve stitched a Lyrebird, gum blossom and our State emblem Epacris impressa or pink heath . I had been struggling to decide what to do with the block as I had some brownish lace stitched down on the long left seam. Nothing looked good on it so it was removed and a tree put in place. I didn’t have much bother after that. The Lyrebird pattern is from a quilting book ‘ Medieval designs for applique’ by Eileen Campbell. 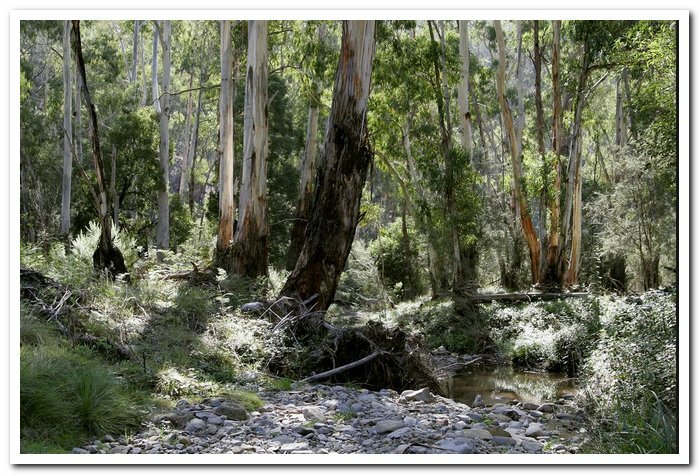 I thought I should add photos relating to a lyrebird. 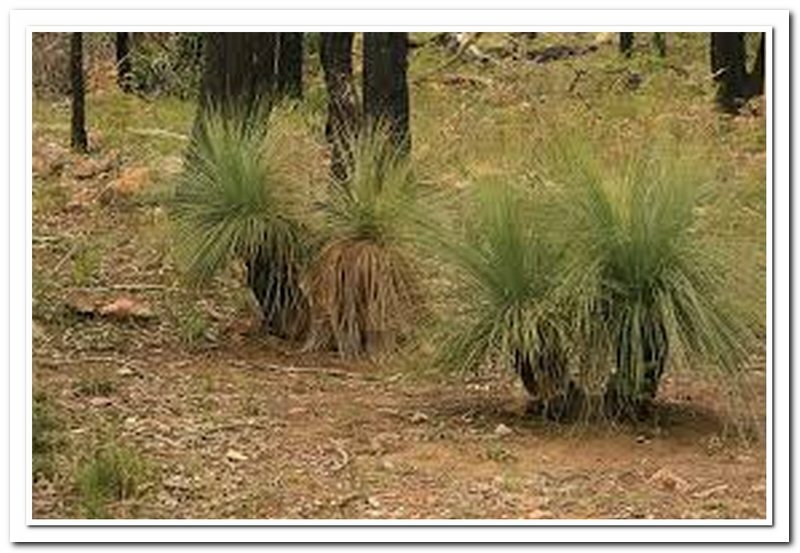 They live in the scruby or bushy areas similar to the photo from Wikipedia- on the right and the left photo from Flickr shows a group of grass trees, which I had beside my lyrebird. I really like this the lyrebird is fantastic – I really like it. Thanks so much for your comment Sharon. 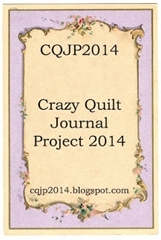 I started the block in February and hesitated because of the lace. Each month after the same thing happened, until in July I removed the offending piece. Your lyrebird is beautiful. We don’t have them here in Canada obviously and I’ve never seen anything other than pictures. Thank you for the visit. The bird is fairly shy of people and seen occasionally in the bushy areas. I should add photos of the area they live. Sharon said it – once something we don’t like is removed everything falls into place. Your block is both beautiful and interesting. Fantastic trees! Thank you Queenie. I love trees of any kind dead or alive so it’s fun to stitch them. Thank you very much frilka. I love the way you’ve worked this block, without treatments for some of the seams. It makes a lovely composition–a whole instead of separate patches each with its own embellishment. I like this block a whole lot.Original.